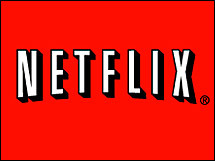 Your next Netflix billing statement will increase if you have the optional Blu-ray access. The amount of the price increase will be determined by which plan you have. For the regular 3 DVD (Unlimited) plan the rate will increase from the $1 extra per month to $4 extra per month. Netflix already charges an additional $1 per month on top of the regular subscription cost for Blu-ray access due to the increased cost to purchase the high-def format. The entry price did drop two years ago $1 per month, so the additional $1 for Blu-ray was a wash. This is unfortunate but understandable. The number of Blu-ray titles now available is incredibly high, my video queue has over 450 titles on it and I’d say a good 30% of them are now available on Blu-ray.